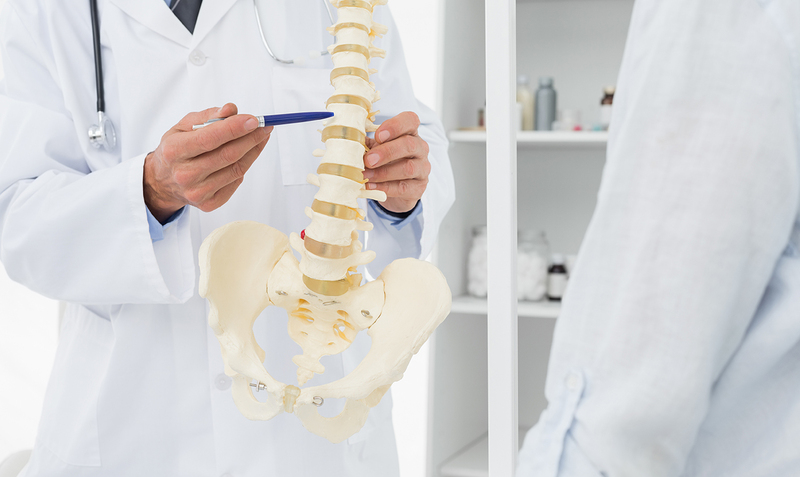 You may already know that a traumatic injury to the spine can cause disc problems, resulting in a variety of painful neurological issues -- but you don't have to be in an accident to be plagued by such symptoms. Degenerative disc disease can develop over a long period of time, with the deteriorated discs pinching critical nerve tissue in the spinal column. Fortunately, you can get non-surgical relief for this problem through disc decompression therapy at Collins Chiropractic Center in Birmingham, AL. Degenerative disc disease isn't so much a disease as a byproduct of everyday living. Years of wear and tear, sometimes aided and abetted by musculoskeletal alignment problems, can alter the structure of the cartilaginous discs that cushion your vertebrae. The height of these fluid-filled discs provides the proper spacing for the intervertebral joints to work properly. With age, however, the discs' interiors lose water, causing them to collapse and bulge. This change can put strain on the joints, inflaming them and encouraging the development of spinal arthritis. This kind of degeneration also causes problems for spinal nerve tissue. The outward bulge of the discs may reduce the amount of space within the spinal canal, causing stenosis that pinches the spinal cord. One vertebra may slide forward over the vertebrae below it (spondylolisthesis), impairing nerve function. Impingement of the major nerve roots that extend from the spinal cord may cause tingling, pain or numbness in the limbs served by those nerve roots. The good news is that you don't have to have an operation to undo the pain and other symptoms caused by degenerative disc disease. Here at Collins Chiropractic Center, we offer a safe, painless technique called disc decompression therapy. This precisely-controlled form of mechanical traction works on the principle of flexion distraction, or outward-pulling force. Your chiropractor at Collins Chiropractic Center, Dr. Collins or Dr. Machen, will secure you to a mechanized treatment table. Tiny amounts of flexion distraction increase the space between your vertebrae, which causes vacuum to form in the space. This has two beneficial effects: It pulls a bulging disc away from nerve tissue and back into its regular territory, and it infuses the disc with water, restoring some of the lost height and easing joint strain. Disc decompression therapy could turn out to be just what the doctor ordered for the relief of your degenerative disc symptoms. Call (205) 923-0151 to schedule a consultation, evaluation, and treatment with our chiropractors in Birmingham, AL.